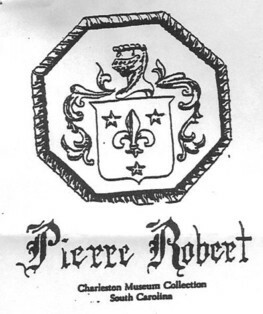 Reverend Pierre Robert was the founder and the first Rector of the French congregation at French Santee in St. James Parish. Rev. Pierre Robert served as head minister of the Huguenot Church at French Santee until 1715, when he resigned due to infirmities of age. He left many descendents in South Carolina, Louisiana and Texas. Many of his descendents gather biennially to share fellowship and gather family information. If you are a descendent or interested in the Rev. Pierre Robert family reunion, we invited you to contact us. Visit our ROBERT genealogy database at Rootsweb.com.